A new measuring stick for miniature breeds such as the Nigerian Dwarf Goat is now available from the American Dairy Goat Association. This measuring wicket comes in three 15 inch sections for easy airline transportation and requires no tools to assemble. Using this livestock wicket, you will know it meets the requirements described in the ADGA Guidebook for measuring Nigerian Dwarf Goats. The sturdy aluminum construction, square base, bright yellow powder coated finish and bubble level on the crossbar make this measuring stick a great value at only $45 plus $10 shipping. 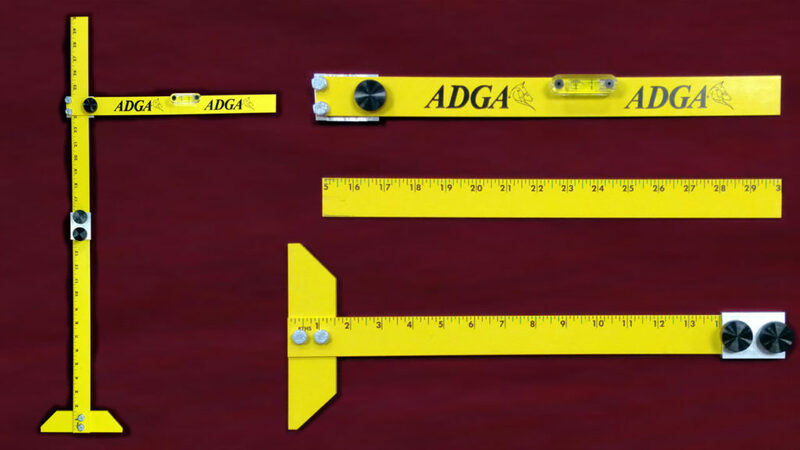 To order the ADGA Nigerian Dwarf Goat Measuring Stick, contact ADGA by calling 828-286-3801 or emailing adga@adga.org.